Has Brexit Cost The World UK’s International Aid? Brexit has brought with it an immeasurable scale of uncertainty but there’s one thing that is certain, and that’s the inflated costs to international NGOs. The declining value of the pound, loss of EU funding and increased inflation rates are all leaving charities at a loss that’s going to have an impact on the work they can deliver. 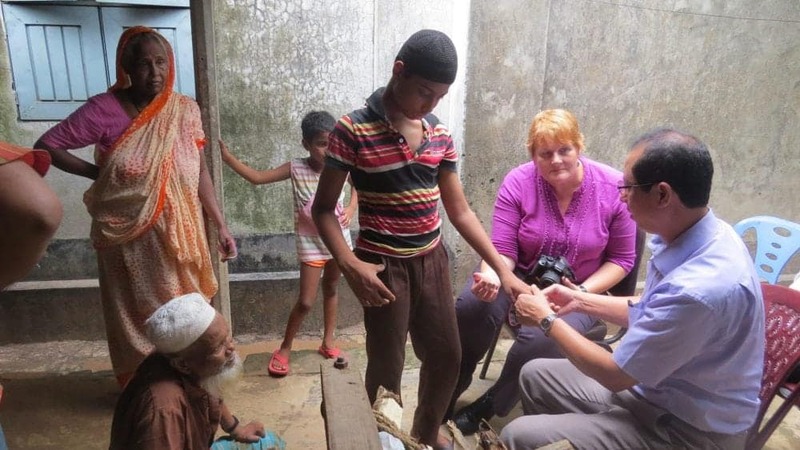 Lepra is based in Colchester and runs overseas projects in India, Bangladesh and Mozambique where they tackle neglected diseases like leprosy while trying to alleviate extreme poverty and prejudice. This international work means that the funds generated in the UK then need to be converted to the appropriate currency and sent to the respective countries where the in-country teams run the daily activities of health care deliverance, education events and livelihood training. The low exchange rates against the pound mean that the charity is set to incur some serious costs if they want to maintain, and grow, the same levels of activity. They say they are looking at an added cost of around £330,000. That’s an extra 10% of their annual expenditure Lepra will need to find if they want to continue changing the lives of those living on the margins of society. If they don’t, far fewer children, women and men will receive the vital healthcare they need. Sarah Nancollas, Lepra’s Chief Executive, said only by securing a fixed exchange rate earlier in the year had they managed to mitigate the impact for this financial year, which saw the pound drop by 10% at the start of July, but next year could see a much bleaker picture for Lepra and for international aid as a whole. Last year, Lepra reached over 279,900 children, women and men directly through diagnosis, treatment and care. That’s not counting the further 2.3 million who were able to access or attend their health education events in schools and communities. These figures may not be as high again if exchange rates continue to fluctuate and cost the charity so much more. The same will go for other UK based international NGOs who may no longer be able to reach as many people and improve as many lives, which begs the question, will Brexit cost the globe the UK’s contribution to international aid? While the exchange rate is concern enough for the international development sector, there’s the added effect the rates may have on general giving in the UK. As inflation rates increase, and with it the costs of everyday items, the funds the UK public have available to donate to charities can also be expected to decrease. In an already hostile fundraising environment, this is another financial hit that non-profits can see coming and contributes to the idea that the UK’s ability as a whole to help others less fortunate is on the decline. Add to that the fact UK charities receive around £200m each year from EU funds, something they’ll soon lose the right to apply for once article 50 is invoked, and there’s a massive question about what lies ahead for the effectiveness and impact of UK charities supporting international causes. Paresh Devdra, founder of leading foreign exchange and money transfer firm Rational FX, offers some solution to this problem claiming that hedging strategies can be used to manage risk. There are months of possible political turbulence ahead and, with it, a rocky ride for non-profits like Lepra who will strive to keep providing the vital services they do despite the economic climate. However, it could be that as a direct result of leaving the EU, Britain becomes a whole lot less generous, they help fewer people and worldwide those already enduring disease, poverty and prejudice are denied the help they need.